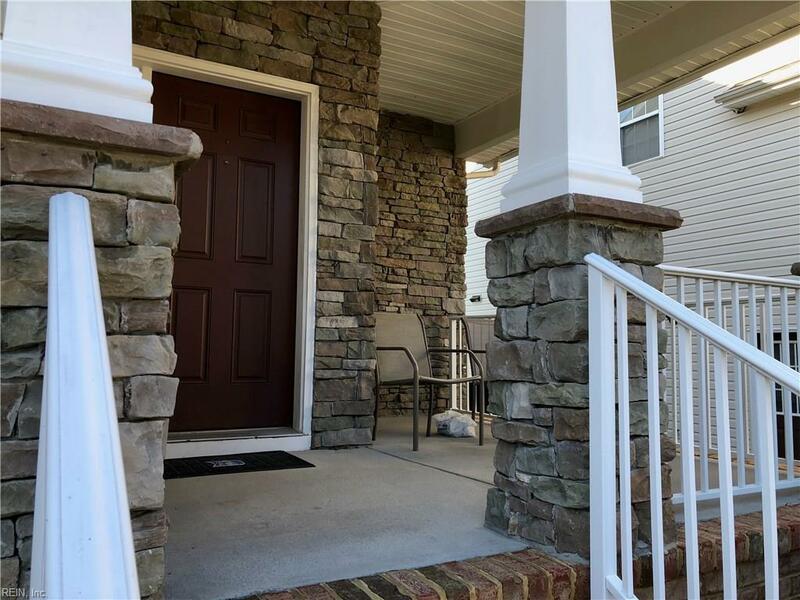 3896 Stumpy Lake Ln, Virginia Beach, VA 23456 (#10245418) :: Abbitt Realty Co. Absolutely gorgeous and bright SIX bedroom, 3 full bath home in beautiful Glenwood area of Virginia Beach. 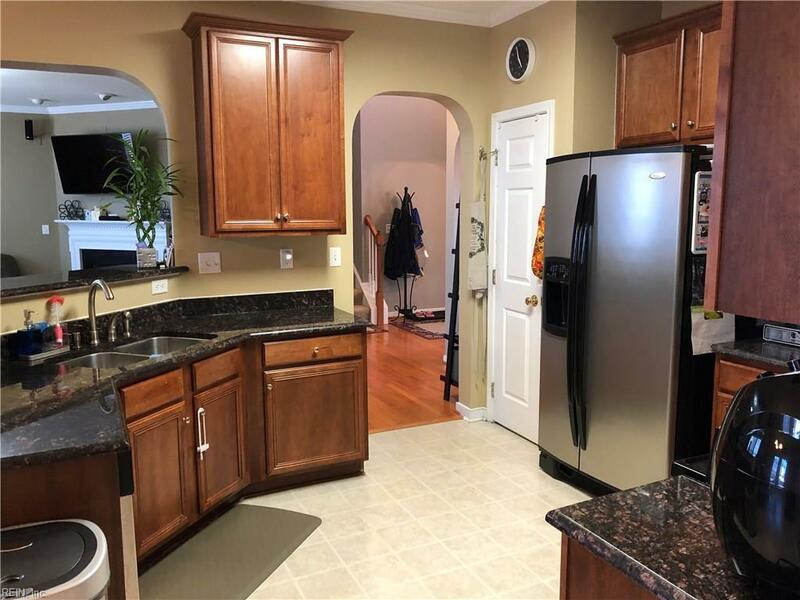 Spacious and open floor plan with hardwood, carpet and ceramic flooring, stainless steel appliances and granite countertops in kitchen with bar opening to eat in area and living room with gas fireplace. High ceilings and french doors open to back deck in lovely back yard. 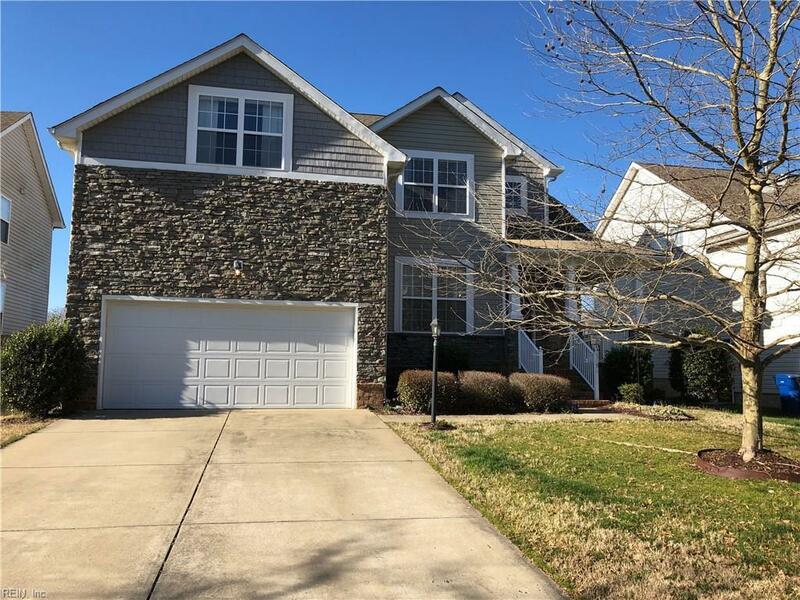 This home has a downstairs bedroom with full bath and 5 additional bedrooms upstairs including a large master suite with beautiful, private bathroom and large walk-in closet. There is TONS of storage throughout, including the HUGE garage with shelving and overhead storage space. 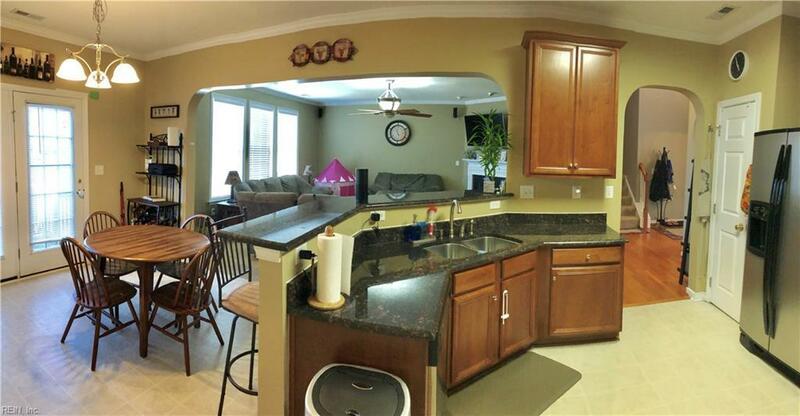 Whether you have a large family or just love to entertain, this is a wonderful home!